There are many theories about when the world will end, and many of those dates have already passed. The date I find most interesting is the past December 21, 2012 "apocalypse" date. It was the last date recorded in the Mayan calendar. The scenarios that were made up about what was going to happen that day were numerous. I found it interesting that my grandmother, who is a devout Catholic believed whole heartedly that would be our last day on Earth. I remember watching on television for at least a week prior all of the crazy things people did to prepare. Some took their last vacations, some said their goodbyes to family members, and some built elaborate bunkers and survival shelters. When the disaster did not strike, there was a movie made depicting what could have happened. 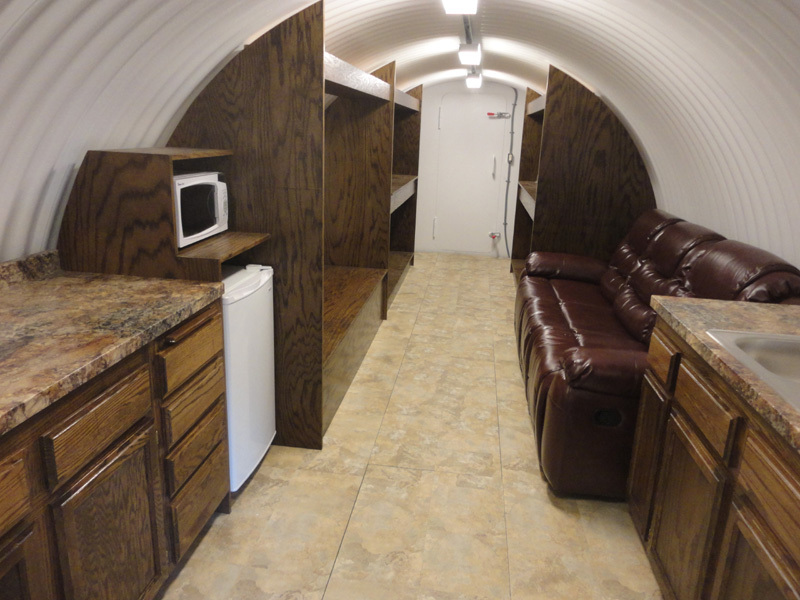 Peter Larson built a $65,000 bunker to prepare his family for any disaster situation. He predicts a nuclear disaster in the future, whenever it may happen, he has everything that his family will need to eat, drink, wear, and protect themselves. He built an air filtration and alternate escape route. I know many people may think he is crazy, however I think he may be a genius. I would have great peace of mind knowing in any type of situation I have somewhere that I would be safe. Here are some photos of shelters that people have made to protect themselves in case of any disaster situation. 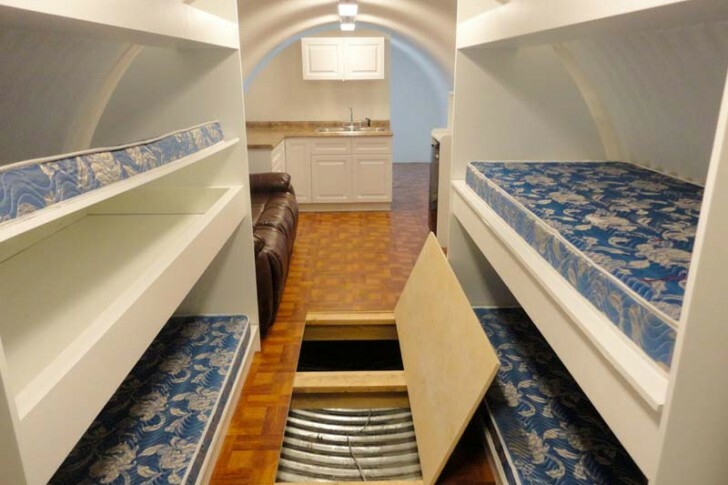 These bunkers look so luxurious it makes me sad to think they most likely won't be used! But after watching so many disaster and zombie movies this doesn't seem like a bad idea. I find the concept of the end of the world so fascinating. It is talked about in many different religions, cultures, and even movies. It is one of those things that people often joke about while other people are legitimately concerned. 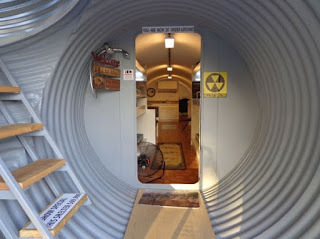 However, having a bunker seems so unnecessary to me because I would not want to live after the end of the world. It seems like it would be extremely stressful and lonely. I found the bunker that Peter Larson built to be very interesting along with the end of the world discussions that most people have been having. I think that these discussions have some validity when it comes to certain events that have been predicted and some people even build these shelters for natural disasters such as hurricanes and long term blackouts. There are a few movies on netflix that try to capture what some people think the world would look like in a total lose of power nation wide and it was kind of eye opening how vulnerable our society really could be. I also was a believer of 12/12/12, also known as the end of the world. It is crazy that we could almost believe everything we see on TV, such as the movie 2012. Have you ever seen that movie before? Its a very detailed movie. We never know it could happen in 2 years, 20 years, or 100 years. It could possibly never happen! 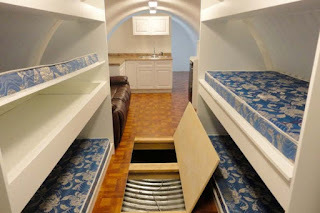 If had the money, I would also buy a bunker, you never know what is going to happen. But if the world were to end, I don't think we would have a set time for it, it would just happen instantly. The bunker looks awesome. I enjoy camping every summer at my parents trailer. I can honestly say that I could live there all year round. I kind of think living in a bunker and camping are a good comparison. Of course camping you can be outside and enjoy the air. Doubt if you are living in a bunker you can do the same. The end of the world is such a huge subject. If I had the money to build a bunker just in case the world would end I don't know if I would build it. This might sound crazy but I would rather live life not worrying about the world ending. I don't think there is an end of the world but I do believe that there is a possibility of a nuclear war. I don't believe that there will be a natural occurrence that ends the world. However I do feel that man itself will one day cause a horrible event that will change the earth all together. I'm absolutely fascinated by doomsday scenarios and predictions because everyone who believes them have been so sure but they've all been absolutely wrong. I guess it appeals to that smug sense of satisfaction about having the last word and being right while the rest of humanity was wrong. Seeing these bunker, like the one Peter Larson made it makes me want to build one. Not for the fact of it being "the end of the world" but for the day and age we live in. Now and days there is so much talk about nuclear bombs, i would want to build a shelter just for that reason alone, to protect my family from the crazy leaders in this world who are trigger happy.